Just as the tail follows the dog, smelling ever so slightly of poop, cometh the new year, cometh a new blog. Regulars readers will be delighted to know that the weekly attempt to play tennis followed by a Gentlemen’s lunch is still in effect. Tennis has been rare in the last few months due to injuries, holidays, age and indifference, but lunch is eternal, and usually takes place on Fridays at Auberge St Donat, when it is not closed (twice in the last year for a fermature annual?). The major protagonists are The Wingco, who is still proud of his title of Complete C**t earned several New Years Eves’ ago when burning a hole in That Nice Lady Decorators ski jacket (long story…). Then there is the class obsessed – at least by my lack of class – Master Mariner Mundell who claims that my “O Levels” must be in Car Nicking, Burglary and Street Graffiti. There is Dancing Greg Concorde Harris from CD Villas (Seedy Villas? Surely not?) sporting his new nose job (one would have thought the surgeon would have wanted to make it smaller rather than bigger? ), Hop Along Nick “Fallen Off His” Pearch, resplendent with a new hip and Mike “Grunter” Macmillan, so named due to his Monica Seles impersonation, former banker and fellow author. Almost without exception these are clients of Currencies Direct for which they should be eternally grateful, but seldom are. It is a sad indictment upon the average age of these gatherings that most conversations now start with a declaration of injuries incurred, illnesses endured and pension arrangements. 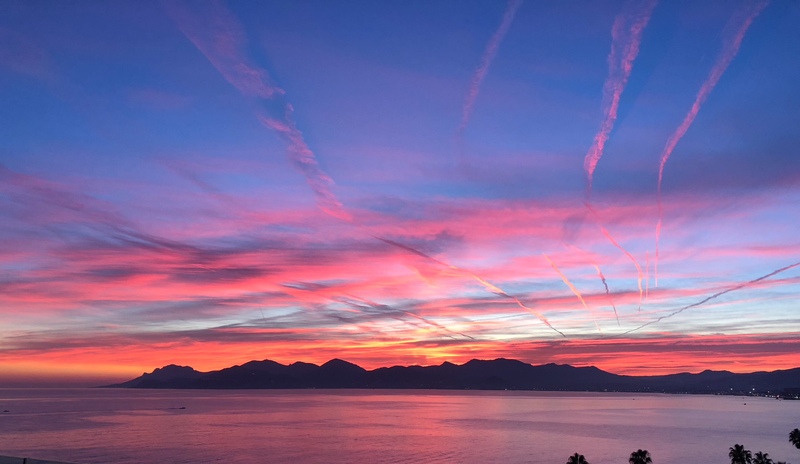 In fact my picture today, which some of you will already have seen, is of a sunset in Cannes late last year, a metaphor perhaps for this twilight period in life. In my case it is a dicky heart, dodgy sinuses, a damaged knee, a groin strain and the fact that I will get my state pension in a little over 3 months time, sufficient to make me want to live to 100. Yippee! The humour is almost entirely black, mainly aimed at me, my upbringing and accent, my not speaking properly, my silly moustache and my dashing (my description, not theirs) wardrobe, but as they are clients, what is a man to do? I have nicknamed this group as the “Silver Spoon Brigade”, mainly due to their public schoolboy background or their foppish assumption of those characteristics in order to score points. Most lunches are ribald, involve copious quantities of wine and, in the worst cases such as just before Christmas, an alarming number of cognacs. In those instances I know I have been entertained but have little recollection of in whichcontext. We had played tennis that morning but my groin strain has slowed me from whippet like speed and agility to something a little less mobile, but I was able to steer my partner on this occasion, Nick, to a famous victory, and one that I was keen to discuss over lunch. Needless to say, the losers were none to keen and quickly reverted to type, i.e to take the piss out the working class boy done good. Another irritation for the Wingco is that he is an accomplished musician who dreamed of making a living out of playing music and failed, whereas I, with no musical ability whatsoever, have made a living from it. Such fun! An occasional diversion from tennis is walking and there exists a (lack of) organisation called the Andon Ramblers Association (ARA) with a President For Lift (it should have been President For Life but an unfortunate typo intervened) in the shape of Dancing Greg. I am not a member of this Disorganisation and have no wish to become one, which suits everyone as when a vote was taken to invite me to join, it was unanimously rejected. However, that does not seem to preclude me from joining their rambles or enjoying their rambling lunches and there is one iminently. I shall be bringing you a full report shortly, assuming I can remember anything about it. How do you feel about eating dog biscuits? 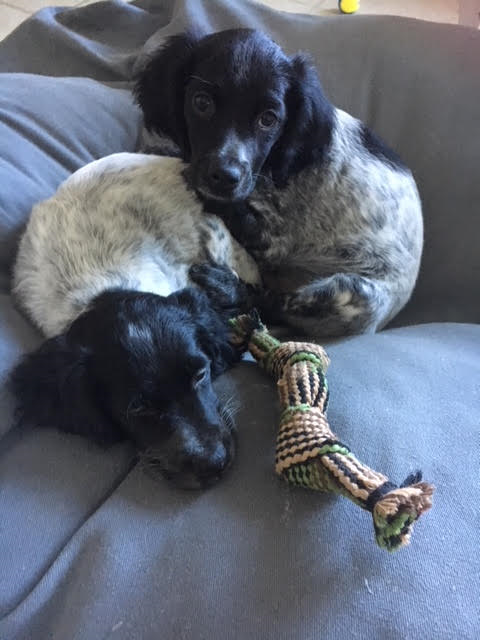 One of my friends, who was in the passenger seat of the car on the way to play tennis, and had clearly not had sufficient for breakfast, began tucking in to a bag of canine treats, thus denying Ronnie and Reggie (our 2 new puppies – well named it seems as both of them are thieves and Ronnie is a psychopath -). The dog biscuit nicker expressed particular liking for the bone shaped titbits. He told me he had developed the taste when he was a child being brought up in the Cheshire. Now my old pal Peachy Butterfield always claims that Cheshire is a misplaced Home County, but here is further evidence that he is wrong. With that level of deprivation, Cheshire must certainly be considered as “up north” where all Southerners know it is grim. But who was it? I hear you ask. I cannot reveal the name of the miscreant except to say; think not so boring accountant who featured in a recent episode of this column, and that Clive “Dog Biscuit” Slater might be looking a bit sheepish (dogish?) when reading this. So there I was with That Nice Lady Decorator sitting on the balcony for a cheeky beer at the beautiful Anchor Bleu at Bosham one lunchtime with a view over the bay and all was well in my world, until a delivery van appeared (see before and after pictures below) and parked directly in our view. Having made his delivery he promptly decided to eat his lunch in his van and enjoy my views of the incoming tide. I was going to remonstrate with him until I noticed that he was about 6 feet 6 inches tall, about 20 stone, scowling and had tattoos all over his arms, mostly involving death and violence to southerners. Then I thought, live and let live… or perhaps not remonstrate and stay alive. A first world problem I think, as is which currency exchange provider to choose when moving money to and from other currencies. This week I favour Currencies Direct. Many of you will be aware of my invention of the GAWP (Getting Away With it old Persons) card. It has been suggested to me that I should produce it in two colours, enabling some latitude between a yellow and red card offence. A good idea which I will, of course, claim as my own when it comes to fruition. Whilst we are on the subject of cards, I have begun to think that I would like to have a card that I could serve on the political correct youngsters who, in my GAWP opinion, are gradually exorcising humour, reason and historical respect from every aspect of life. I have said it before, that us 60 somethings have lived through the best 5 decades that there has ever been, the 60’s to the Noughties. Now the world of political correctness is closing in and I want to fight back. That Nice Lady Decorator has come up with a brilliant concept; the SPUNCK card. Last week, That Nice Lady Decorator announced one morning that we were going to Charleston. Dread filled every fibre of my being. “But it is in America and you know what I think of septics” I said using the rhyming slang for Americans. “Not that one, the one in East Sussex” came her reply. So she who must be obeyed instructed me to buy tickets to see where the horrid dance originated, or so I thought, but it seems this Charleston is a farmhouse in Sussex synonymous with The Bloomsbury Set, a collection of artists and writers from the 1920’s. I am afraid to say that my joke about them all being charlatans from Charleston fell on stony ground, and so I had to endure an hour-long tour of an admittedly, very attractive farmhouse and gardens, whilst being regaled with stories about this bunch of “artists”, almost to a man (or women – don’t want to have to employ a GAWP CARD click here for details) conscientious objectors”. Now regular readers of this column will know that I will have no truck with modern art. It is all appalling, without exception. The only thing impressive about it has been its ability to fool enough people for enough time for the likes of the Charleston charlatans to trouser some serious cash. The Emperors New Clothes. Although I have some admiration for their hippy lifestyle on the 1920’s where all sorts of shagging and changes of partners seemed to be the norm, the fact remains that almost all the paintings in the farmhouse were juvenile daubs, the ceramics embarrassing misshapen rejects and the fabric designs childlike. Worse still, the house was rented throughout their tenure and they also painted on most of the walls and furniture, something that would have had the landlord apoplectic in today’s society. Delinquents all of them. Ok, that should get some reaction! I am now well on my way to completing my autobiography provisionally entitled “40 Years Trying Not To Get A Proper Job” which I hope will be ready for Christmas, and will be ideal opportunity for many of you to buy some copies for people you don’t like. As I am summering and simmering in Arundel, We arrived back in time for The World Cup which gave the country a lift, but imagine what it was like back in France, however the picture of the tournament for me was this chap with 3 Lions on His Chest, which I publish today. Normally, That Nice Lady Decorator and I leave France for the summer and return to Arundel to avoid the heat and to enable us to enjoy a cool English summer and get away from the summer heat in France, and save exchanging £ for euros through the excellent services of Currencies Direct. However, if you are living in England, you will know that it has not gone well. As I write we are suffering 30 degrees again. So, to lunch yesterday at Trattoria 4, the new Italian restaurant attached to the Bastide de Valbonne, to commiserate with Peachy Butterfield and the beautiful Suzanne Butterfield on the occasion of his birthday. He will have you believe that he is in his early 40’s, but that does not sit easily with his knowledge of crap 60’s pop. Check out “My Pullover” by, reputedly, his favourite singer Jess Conrad. That Nice Lady Decorator has him in his late 60’s, but I think she maybe underestimating. Suffice to say that, despite being an excellent luncheon partner, if someone was to suggest that his age had a 7 in it, I would not be surprised. It was an enlightening lunch, the pinnacle (I may come to regret use of that adjective) being his revelation that his sunbathing habits had affected his gentlemen’s sausage. It seems that if one sunbathes naked, one must expect ones senior member, normally in repose in such circumstances, to be nicely tanned. However, when roused, it seems that the wrinkles disappear and one is left with something dangling between ones legs that resembles a raccoon. You know the sort of thing, lots of white areas interspersed with those that require suntan cream. However, that is a concept to far beyond the realms of the remit of this family blog to be considered. I have not blogged for some months as I have been busy getting old myself and travelling. San Francisco was notable in that this was where our suitcase was sent on a tour of the Napa Valley rather than being left at the hotel for us to pick up on the way to New Zealand. Two days into a world tour and we were down to one suitcase. Amongst the places visited was Auckland. After a couple of days of acclimatisation, we set off in a hired car to visit Rotarua, pictured today, for its Maori culture and fascinating hot springs and rock pools, which were frankly fantastic. The manager of the hotel in Rotorua asked where we were to visit next. “Hamilton?” he said with a degree of incredulity that I found worrying. “What’s the worst thing about Hamilton” he asked, “Its above sea level” came the answer, and he was right. Luckily were only meeting the train there but that night was long. Despite being fascinating, it is a backward, beautiful and very annoying country. Where else in the world, apart from some of the less moderate, predominantly Muslim nations, would restrict the sale of alcohol on Good Friday? Even Jesus, I suspect, would have found it easier to get a drink than we did. It’s like this; on public holidays over Easter you are only allowed to buy a drink if you have a “substantial” meal. We had arrived in Wellington, which I had not expected to be stuck in 1950’s Welsh Methodist Church ideology. Oh well, “2 fish and chips and two pints please.”. But it is not as easy as that. You have to buy another meal with every drink! So with more and more plates of increasingly manky fish and chips each, were ordered, all thrown away, I worked out that by buying fish and chips each time I wanted a drink, it was costing me £12 a beer at todays Currencies Direct rates, and adding substantially to the mountain of food that must be wasted. The debris must have been visible from outer space. It gets worse. That lost bag in San Francisco, our stop over on the way, gave me the heaven-sent opportunity to spend up to £600 each on my Amex card due to their travel insurance policy. Some insurance recompense for the irritation, I thought, so I set off for the shops for a spot of free retail therapy, however the New Zealand Government have decreed, in their wisdom, that no shop may open on Good Friday unless it sells bread, fuel or souvenirs. There is only so much you can spend on these areas, but somehow we managed over NZ$1800, around £850 although frankly, the awful eau de Cologne forced upon me by That Nice Lady Decorator will be festering in its bottle for some decades methinks. Some readers will be sad to note the demise of my nemesis, Banjo, the hound much beloved by That Nice Lady Decorator. His appetite for life (and stealing my food, especially cheese) sadly extended in his later years to biting people, but now he is up in that great cheese emporium in the sky and we have not one, but two replacements, Ronnie and Reggie, so with one thief gone for good, what better way to start again with eyes wide open and name them the new puppies after famous thieves? If we are able to train them not steal, perhaps I will be able to describe it is a Kray’s they are going through? But maybe not. And so last week to a gentlemen’s evening, hosted by Cote d’Azur Villa Rentals, Dancing Greg Harris, even more debonair that usual now that his nose job has settled down. Well, I say nose job, but it was just the removal of a wart of some kind which was bigger than his nose. You would think that going to that amount of trouble one might have chosen a better design but personally I like a Roman nose. The venue was The Source in Opio, a change from our usual venue, The Auberge St Donat, which is closed for “ravalement”, which translates as “cleaning”. It makes you wonder just how dirty it was. I am hoping that it will just involve merely a lick of paint and perhaps remarking the car park spaces on the tarmac in the restaurant. No, I am not joking, the management enclosed much of the car park many years ago with waterproof plastic sheeting and have not got around to dealing with the tarmac, and long may that last. Any change might destroy the unique ambience. One of my regular readers *(there are several, a fact that the Wingco might find hard to understand), has asked for news of the many characters who have graced this column in the past; The Wingco still thinks it is “ghastly”, The Master Mariner Mundell is still unemployed, despite waving around some “Jet Broker” business cards, Peachy Butterfield is still too fat to kidnap, That Nice Lady Decorator has been busy up ladders, mostly held by me, John “800 years of repression” has maimed himself falling over on a green ski run (the easiest), Anthony “Dock Of The” Bay has been named as a Conde Naste expert on Provence, and I am preparing for a nearly significant birthday (actually they are all significant when you get to my age) in Portugal at the end of the month.